Great landscaping is the key to producing a stunning swimming pool and backyard transformation. 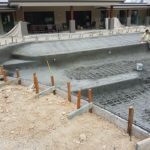 So, if the construction of your concrete swimming pool has been completed and you have your new lifestyle, now is the perfect opportunity to take it to the next level. Landscaping your yard to enhance your swimming pool can be a fun process. Whether you are after a formal look, Balinese or tropical resort look, or perhaps a natural billabong is more your style, the options are only limited by your imagination and budget. 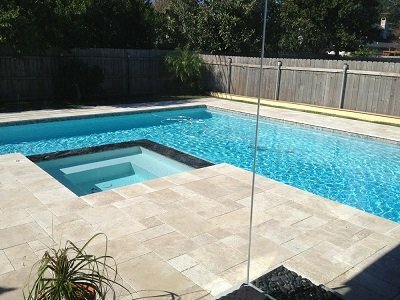 Building your new pool is just the first step in creating your dream outdoor space. Next, you’ll need to design and plan out the landscaping around your pool so the two elements tie in together. Here are a couple of ideas for turning your yard into your own personal oasis. Keep in mind that a smart landscape design combines functionality, style and safety. Trawl the internet or take snaps while on holiday to gather inspiration on the style of landscaping you are looking for. 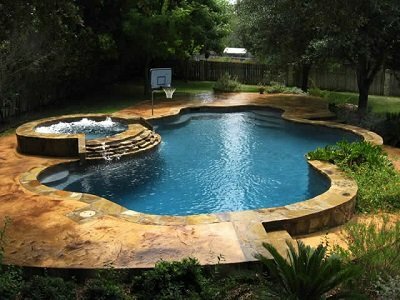 Once you’ve decided on a style, contact a team of professional pool landscapers who can bring your vision to reality. 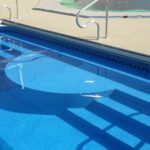 Knowledgeable and experienced in pool landscaping, Cozy Pools have a team of dedicated landscapers who will work with you from the outset. 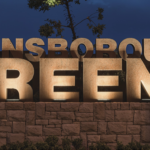 Once a plan has been devised, we will present options based on your budget. TROPICAL LANDSCAPING – Typically the plant selections for this style of garden include lush foliage found in the tropics, such as palm trees, magnolias, broad leafed plants and cordylines, with plenty of colour and flowers. 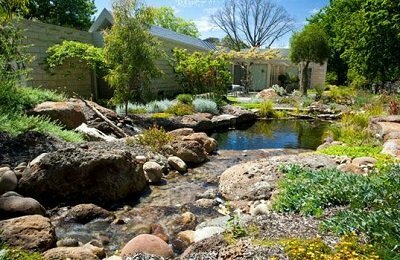 BILLABONG LANDSCAPING – Uses natural stone and rocks (or fake stone and rocks which look just like the real thing), ferns, native plants, leaves with different colourations. FORMAL LANDSCAPING – This style is very neat and symmetrical, plants are well kept and pruned. Repetition of plant species is very common, as is the inclusion of flowers and colour. Natural stone paving is a simple way of merging your pool with your yard, although be aware that pavers tend to pick up dirt and grime so you’ll need to pressure wash them occasionally. Whether real or fake, stones and rocks help create a natural and tropical space for the perfect outdoor escape. If you have a bit of extra cash to play with, why not create the ultimate relaxation zone with a spa island. Enjoy your pool all year round with your own mini resort. 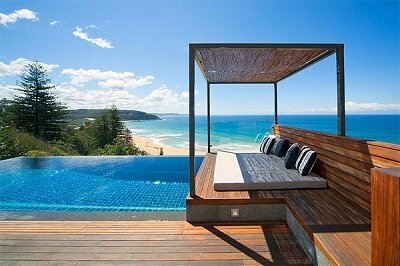 Achieve ultimate relaxation in the comfort of your home with some hotel style daybeds. Kick back with a good book or a drink with your own poolside haven. Unless you’re going for a sterile, modern feel, lush gardens are a beautiful and elegant way to compliment your backyard’s main feature. Greenery also helps merge the different zones of your outdoor space. Try planting some shrubs, flowers or even a palm tree or two for a tropical paradise look. With some thoughtful design and clever landscaping, you can create multiple areas in your backyard all tied together with greenery and styling. 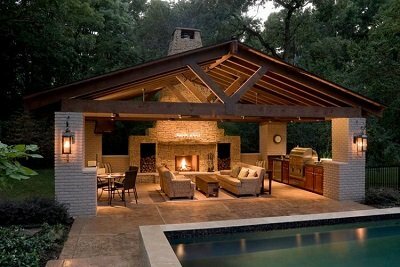 Invest in a pool pavilion, a barbecue, a daybed – whatever suits your fancy! – and turn your yard into a unique, relaxing getaway from the everyday stresses of life. 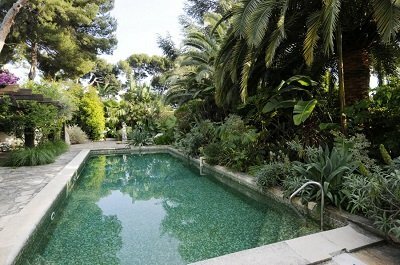 Whatever your tastes, pool landscaping is an excellent way to combine yard and pool into one stunning space. 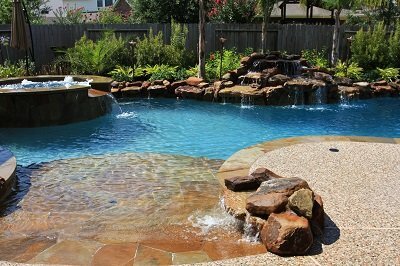 Talk to the expert team at Cozy Pools today to discuss how we can bring your dream backyard to life. 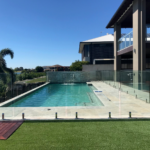 No matter what type of landscaping you are looking for, whether on a large scale or small scale, Cozy Pools professional landscaping team have the expertise to make it happen. Call us today to organise a consultation.